Rewind back to 2006 and Exit Calm hardly existed. Struggling local heroes that had yet to approach anything resembling the big time and, after a sudden break-up, lacking a front man and a leader. But come screaming back into the present and Exit Calm are on their way up fast. They’ve found an excellent frontman in Nicky Smith and after releasing their self-titled debut last Monday (17th May), have set the bar high for this summer’s new music. Happily for you dear readers, I am fortunate enough to posses a copy of this album and after a few weeks of digestion and appreciation, I’m going to share my thoughts with the (English-speaking) world. The album starts as it means to go on (and actually how it is the whole way through) with six-minute opener You’ve Got It All Wrong which, from the moment the atmospheric guitars home into view, is a pounding and ethereal journey through musical space. The album is produced to the bands strengths (by UNKLE collaborator Paddy Byrne don’t you know) and forms an integral part of the overall sound of the album, which is evidenced on this first track. Not only does the song stand out, but the way guitars drift across the mix and wash into the drums is something that really enhances it. Many parts pay only fleeting visits but it’s these extra attentions to detail that expand the song and pull you in. When You Realise is a ballad of sorts (it’s a bit slower than the others) that recalls Ocean Rain era Echo & the Bunnymen and one of my personal favourites, Reference, is a powerful and intense song that has all the good flavours of The Verve and Mainly Genius stalwarts The Boxer Rebellion, but with a kind of downward pressure that makes the listener really sit up and take notice. However, Exit Calm are a smart band and it’s no coincidence that current single Hearts and Minds is the outstanding track from the album. It’s got the strongest melody and is the track where everything seems to click into place. The bass and drums anchor the song and form a concrete base on which atmospheric guitars dart and cascade under Nicky Smith’s floating melody. He declares “It’s a fight between your heart and mind” as the song gradually comes to a raucous conclusion that serves up massive drums and huge guitars in spades. One criticism that has been levelled at the band is repetition. There is a very set and rigid sound that they’ve adopted and a departure from the constant drums might’ve helped to break up the album and bring it back down to Earth. To be frank though, I’m not sure I really agree with that especially considering the beautiful (and yes, atmospheric) closing track Serenity. 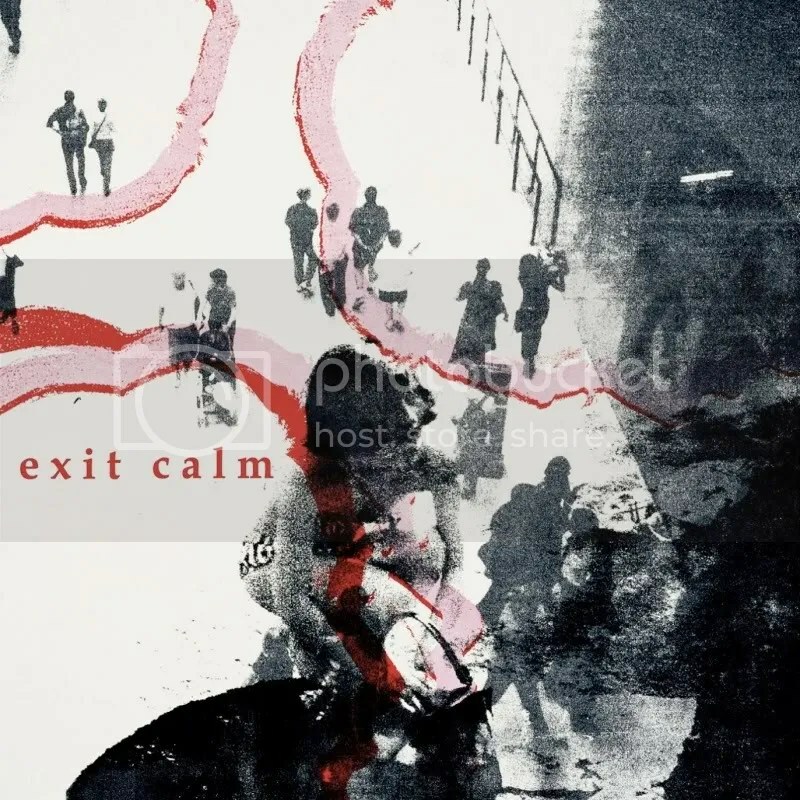 Exit Calm is what it is and that’s an atmospheric, powerful and ethereal journey of great songs. If you’re expecting variety then that can be found elsewhere. Like many before them, Exit Calm will probably be declared Britain’s latest great band, but this time there could be a small grain of truth hidden away somewhere in that statement. The album they’ve produced is a fantastically epic and atmospheric journey through space and shows a real knack for melody and a confident and slightly unique sound that really deserves success. If you’re a fan of Interpol, Editors or any number of similar bands I urge you to give this album a go, you won’t regret it. Exit Calm are on tour throughout the summer and you can find tour dates and purchase the album on their website or myspace. Below is current single and album highlight Hearts and Minds and also the beautiful closer Serenity.